It is a well-known fact that small businesses have led new job creation in the U.S. economy for the last decade. In fact, according to the Small Business Administration (SBA), businesses with fewer than 20 employees account for 90 percent of all U.S. firms and are responsible for more than 97 percent of all new jobs. Less well-known however is that the vast majority of these new jobs are created by the sustained, incremental expansion of existing small businesses, and that start-ups account for only 7 percent of net new jobs. The ScaleUp WNC program offered by Mountain BizWorks is specifically focused on this economic opportunity: providing targeted growth strategy development and implementation assistance to existing small business owners with strong opportunities for growth. 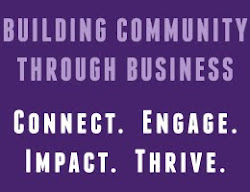 Using a cohort based approach, with 15 businesses accepted into each group, ScaleUp WNC provides mentorship, management training, growth capital connections and other critical resources to help companies achieve sustained and profitable growth. Cohort members also gain a strong peer CEO network within their cohort and with the now more than 60 ScaleUp WNC alumni as well (listed below). In addition to the caliber of companies selected, a strength of ScaleUp WNC is the diversity of companies participating. Industries represented in the prior cohorts ranged from food & beverage to outdoor industry, and from manufacturing to professional services. Accepted companies hailed from Boone to Asheville to Bryson City and places in between. Mountain BizWorks strongly encourages applications from women-owned, minority-owned, veteran-owned and rural-based businesses. Over half of the 2016 participants met one or more of these criteria..
Fifteen founders or executive managers of growth-oriented small businesses will be selected through a competitive, merit-based application process for each ScaleUp WNC cohort. Businesses must be based in Western North Carolina, have at least one full-time employee, and have identified opportunities for business expansion. Additionally, accepted businesses typically have been in for business for at least 2 years and have annual revenues between $150,000 and $750,000. This unique program is offered at no-cost thanks to funding from the U.S. Small Business Administration, however companies chosen are expected to make a firm commitment of time to participate in the program. Western North Carolina has been selected as one of the first eight places nationally to launch an SBA ScaleUp America program, a recognition of the vibrant entrepreneurial community in WNC. Additional program details, dates and the online application form are available at ScaleUpWNC.com.